A first responder on the scene of an emergency. A BLS-trained team in the field or in a hospital waiting room. An ALS team taking over. No matter who they are or the environment they’re facing, with the LIFEPAK 1000 defibrillator they have just the device they need. 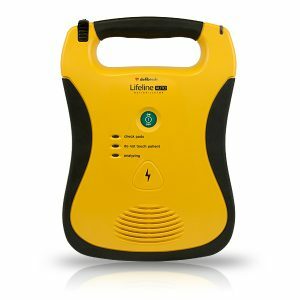 The rugged LIFEPAK 1000 defibrillator is an easy-to-use automated external defibrillator (AED) from the leader in defibrillation technology. 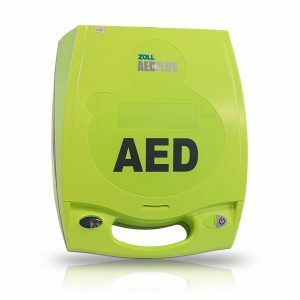 But it’s also a defibrillator powerful and adaptable enough for professional responders, featuring advanced capabilities that can help improve lifesaving outcomes and speed the transition of cardiac patients to the next critical level of care. Rigorously drop-tested device and protective case and bumpers. Designed to ride along in any vehicle without damage from continuous vibrations and other movement. Choose between a rechargeable Lithium-ion (Li-ion) or non-rechargeable Lithium-Manganese Dioxide (Li MnO2) battery for your device. 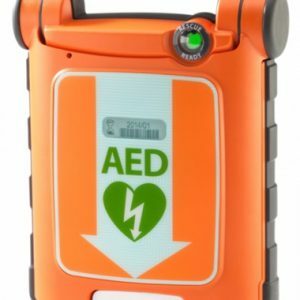 Can escalate defibrillation power to an industry leading 360J. Minimizes CPR interruptions by allowing compressions to continue during AED charging. Provides direction for length of hands-on time for each CPR period based on system protocol. 3-lead ECG function is available when needed. Digitally records and displays delivered shocks for added insight. Large, easy-to-read LCD screen provides more information at a glance. 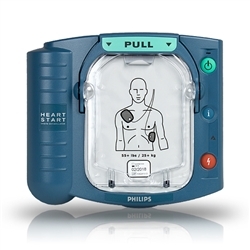 Electrodes are fully compatible with all other LIFEPAK defibrillators and monitors. Adjust settings to match your team’s CPR and resuscitation protocols. Loud voice prompts and on-screen graphics provide guidance on applying electrodes and initiating a shock.